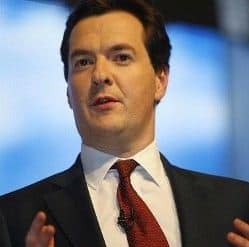 The Road Haulage Association (RHA) has highlighted the need for the chancellor George Osborne to make this year's Autumn Statement a positive one for the UK's haulage industry, as failure to do so could impact the economic recovery of the nation as a whole. With a current driver shortage of more than 45,000 qualified individuals in the UK, RHA chief executive Richard Burnett has stated measures now need to be implemented to reduce the prohibitive cost of gaining qualifications to become a professional driver. Indeed, real term costs to individuals in achieving an LGV licence in the UK currently stands at between £4,000 and £5,000, meaning many people are put off from entering the sector as a result. He noted that at present, the average age of the profession stands at 57 and less than five per cent of the current workforce is aged either 25 or under – a situation that does not bode well for the future of UK road freight. "If something isn't done immediately there could be a negative impact on the UK's economy and empty shelves at Christmas," Mr Burnett argued. "Funding for the road haulage industry is funding for growth. The UK economy is, for a massive part, reliant on road haulage. Without drivers, the economy will come to a standstill." The RHA chief concluded that with 35,000 drivers set to retire in 2015 and forecasts that just 17,000 young drivers will be brought into the profession to replace them, now really is the time when urgent action is needed to safeguard the future of UK haulage.